Being able to see the dust blowing in the wind has broad implications. Today, one in eight people in the world dies from exposure to air pollution, which includes dust. This stunning fact, issued by the World Health Organization in March 2014, adds up to 7 million premature deaths per year. Air pollution is now the single largest environmental risk to human health in the world, and it occurs both indoors and outdoors. What does a DustDuino measure? The DustDuino is a air sensor kit based on two primary components, the Grove particulate sensor and the DustDuino Board. In addition to the two primary components the DustDuino kit comes with an SD card shield, a micro-USB cable, and a laser cut acrylic case. The DustDuino board is a customization of the Arduino microcontroller designed to create low-power, customizable sensor projects. 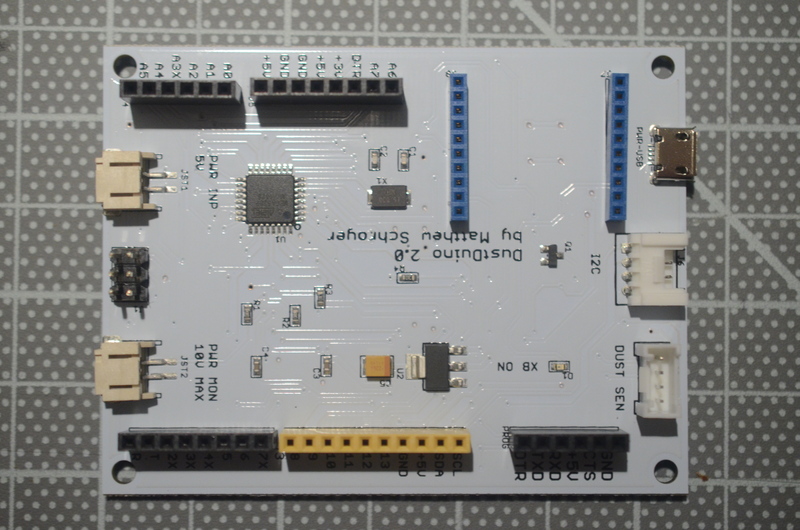 The DustDuino board enables a variety of power, connectivity, and sensor configurations. , it can be programmed with Arduino libraries and is compatible with Arduino shields that add functionality to your dust monitor. The opportunity for expansion is limited only by one’s imagination. We encourage all DustDuino developers to share their improvements on the PublicLab.org or the DustDuino GitHub Repository. The DustDuino has been developed, supported, and extended by a multitude of partners and people who have worked together to help change the way we understand and communicate about the air we breathe. DustDuino would not have been possible without collaboration between the Earth Journalism Network, Development Seed, InfoAmazonia, the GroundTruth Initiative, FrontlineSMS, Makerspace Urbana, the Press Institute of Mongolia, and Public Laboratory. Design choices for the DustDuino have been based primarily on the research findings of two scientific studies focused on determining the quality and applicable use cases for the Shenyei PPD42NS, with reference monitors including the DustTrak, the Dylos laser counter, and a Federal Equivalent Method β-attenuation monitor (BAM-1020 from Met One Instrument). Testing with reference monitors conducted in Berkeley, California in late 2013 concluded that the results of the low-cost sensor were about equivalent to much more expensive ones when analyzing data at hourly intervals. Testing in high PM2.5 environments such as the city of Xi’an, China also has shown high correlations between the Shenyei and reference monitors. By setting up a variety of Shenyei monitors throughout the city, researchers were able to identify the High-technology Zone site as a potential PM2.5 hotspot with sustained high concentrations compared to the city average throughout the day. The DustDuino features two Grove ports , one for the PM sensor and an additional port for adding others sensors such as a real-time clock or a temperature/humidity sensor. 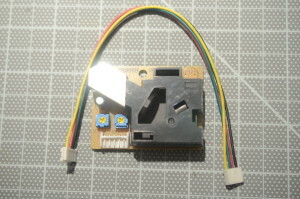 A Seeed Grove connector, for example, utilizes I2C device connection to provide a real time clock (RTK) that can communicate with the DustDuino’s microcontroller chip. I2C is a common communication protocol used by many other devices and sensors, so you are by no means limited to using a clock on this connector. If you’d like to connect your DustDuino to the internet, there is a connector for an Xbee-compatible module, which is a small radio that can send data to other Xbee-compatible devices. Some of these modules can also connect the DustDuino to a WiFi network, enabling internet connectivity. 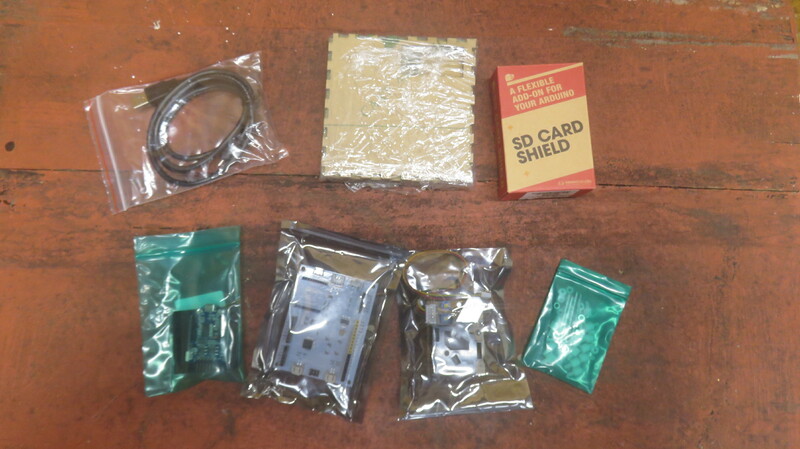 If you are planning on using the SD card kit, we recommend getting a real-time clock to timestamp your readings. The DustDuino is fully capable of streaming your dust data to the internet if provided with network connectivity. To facilitate data sharing, we have created OpenDustMap.com, which enables you to graph and map your data as well as request historical data via a REST API. 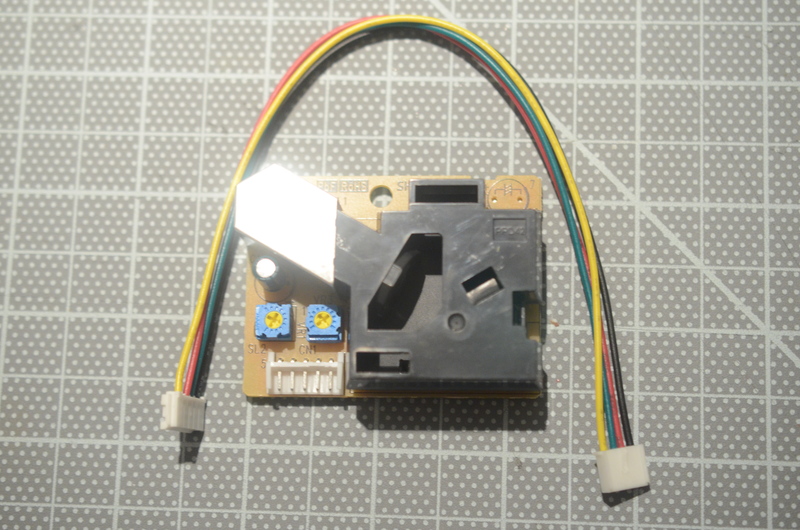 A Micro USB-B connector enables the DustDuino to draw power from a USB computer port and most cell phone charging bricks. If you want to customize your DustDunio for outdoor use, the board has two JST ports. The JST connector is a common format, often found on small-sized batteries, low-voltage power supplies, and solar panels. Because the DustDuino can be powered on a modest solar array, it comes with a MON-JST2 connector, which can be used to safely monitor the output of solar cells of up to 10 volts. See the DustDuino Cookbook section about powering the DustDuino for more information! 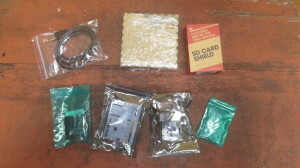 The following section overviews what is included in the DustDuino kit available from SeeedStudio. It is possible to create a dust monitor using an Arduino Uno (tutorial on building a Arduino Uno version).